The big exit from a wedding reception is a tradition that has somewhat fallen by the wayside, and it’s time to bring it back. You shouldn’t be stuck packing up excess booze and bidding farewell to distant relatives after your big day. You should go out in style! Here are five fun wedding reception ideas to make your exit exceptional! When you and your spouse are ready to pack it in, have the DJ announce that you’re on your way and you’re inviting everyone onto the dance floor. Have the DJ crank Shout! by the Isley Brothers or another upbeat tune and dance your way out the door. Bonus if you can incorporate a conga line that leads you to the exit. This one might work better for more intimate affairs. At some point in the ceremony, both you and your partner write out a wish for your marriage. Put the wishes into a balloon, blow it up with helium, and at the end of the night head outside and send those wishes skyward with your family and friends all around you. 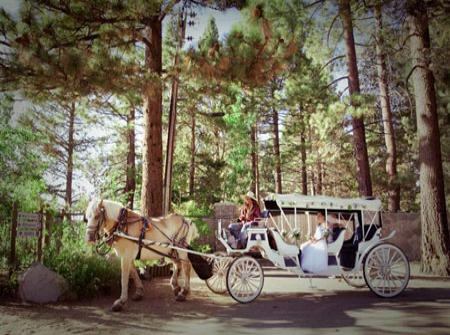 This is a bit old-school, but there’s nothing quite as romantic as a horse and carriage ride. Book a horse and carriage to be waiting for you, hang a classic just married sign on the back, and wave goodbye while a hundred surprised guests put your farewell pics all over Instagram. If you plan to make your exit under the evening stars, this is a great way to involve friends and family in the send-off. Arm your guests with either sparklers or glow-sticks and have the guests form a lighted tunnel for you and yours to walk through on the way out. The group photo can go all kinds of ways. 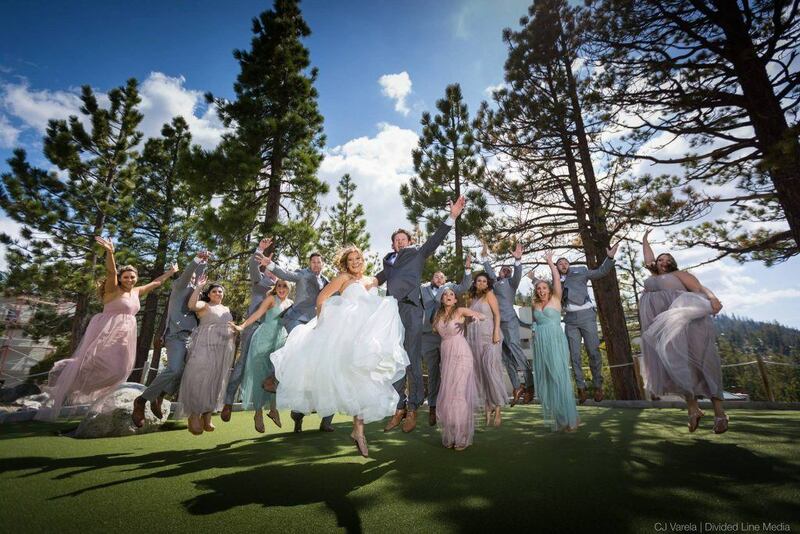 Be like the fun wedding party above and try an energetic jump shot. Or have a table prepared with pieces of poster board and black markers. Give your guests 10-15 minutes’ notice before you leave, and allow everyone to write out their goodbye or good luck messages to you, then gather for one last huge group photo with everyone holding their signs. 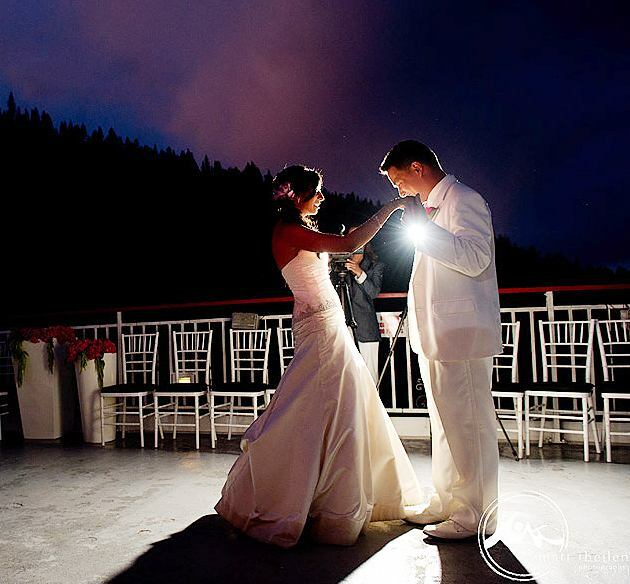 All of your guests will feel like they had a chance to say goodbye, and you’ll have a great keepsake photo. 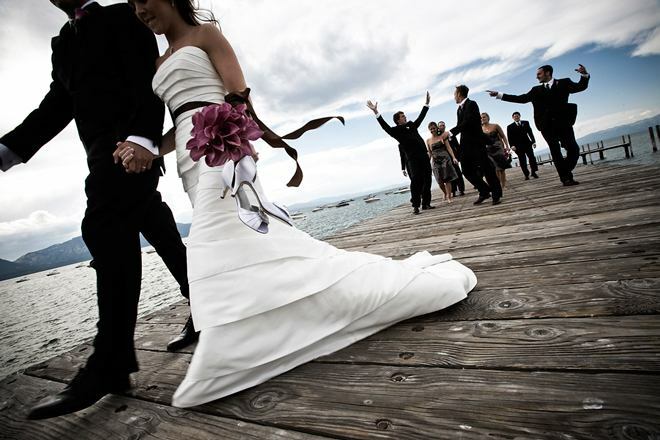 Whether you plan to make your exit from the Beach Retreat and Lodge at Tahoe, the Lake Tahoe Resort Hotel, Edgewood Tahoe, the Ridge Tahoe, Zephyr Cove Resort, or the Landing Resort and Spa, you’ll be doing your wedding in style. So don’t neglect a single detail. Make your exit exceptional!